Throw your kale chips in the air like you just don’t care. 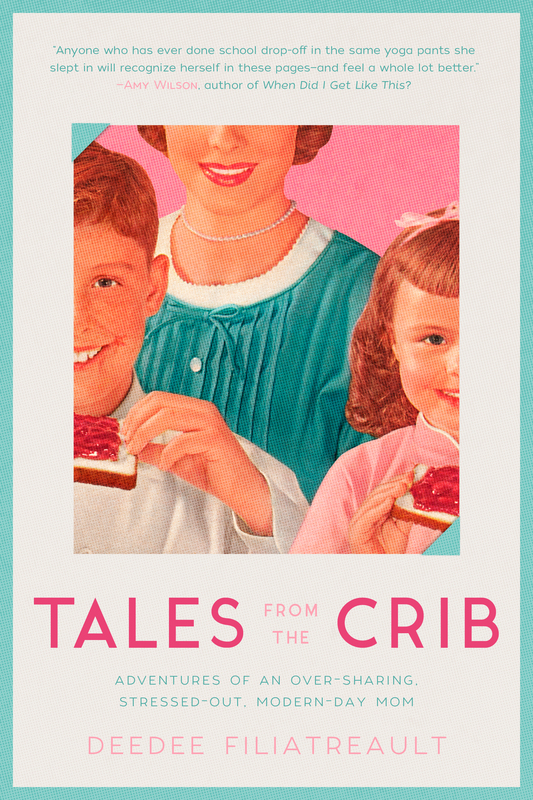 This post is all about making old-school cuisine just like our moms used to make — a turn of events that will free up your busy day, lighten the grocery budget, and completely freak out your children. (This is my idea of a good time on Day 14 of my 31 Days of Fun/Funny Stuff for Families). 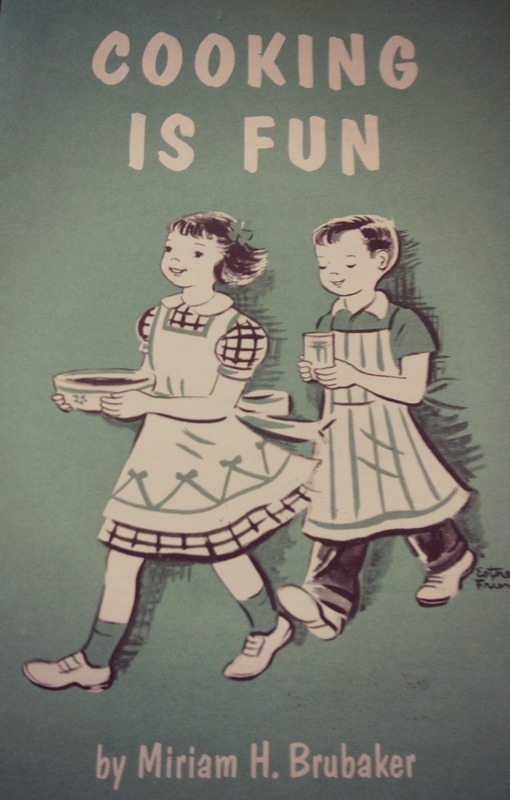 I ran across the most darling and disturbing cookbook, circa 1956, put out by the National Dairy Council — presumably because they wanted to promote good wholesome cooking with America’s finest dairy products. If you know anything about cookbooks of the ’50s and ’60s, you know the sun rises and sets on one thing: cottage cheese. Usually on an iceberg lettuce leaf. Maybe with a maraschino cherry or canned pineapple ring on top, if you wanted to act rich. With all of our modern-mom emphasis on sneaking broccoli puree into lasagne, roasting kale and calling it “chips,” and sending hummus and red peppers in a bento box to school, I say let’s throw these 21st century kids for a LOOP. Let’s greet the brood after soccer practice with a warm bowl of vitamin-packed soup like our moms used to do. From a can. But there’s MILK. So yeah, it’s pretty delish and nutrish. Or if you dig on triglycerides, how ’bout the haute hot dog cuisine of sliced dogs doused in cheese? This heaven on a plate is also known in ’50s parlance as Saturday’s Dream. 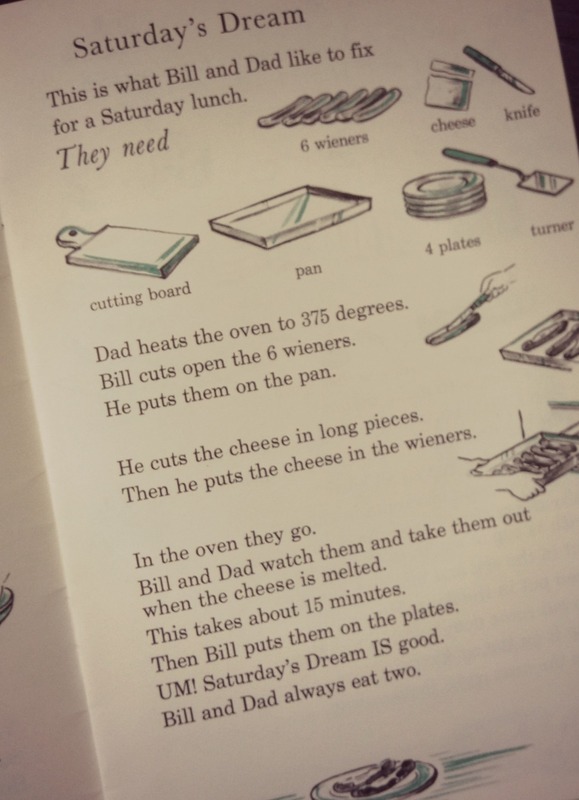 Sadly, I distinctly remember this hot dog invention being part of our regular family repertoire. And on a side note: do you know a single solitary kid in 2014 whose name is Bill? 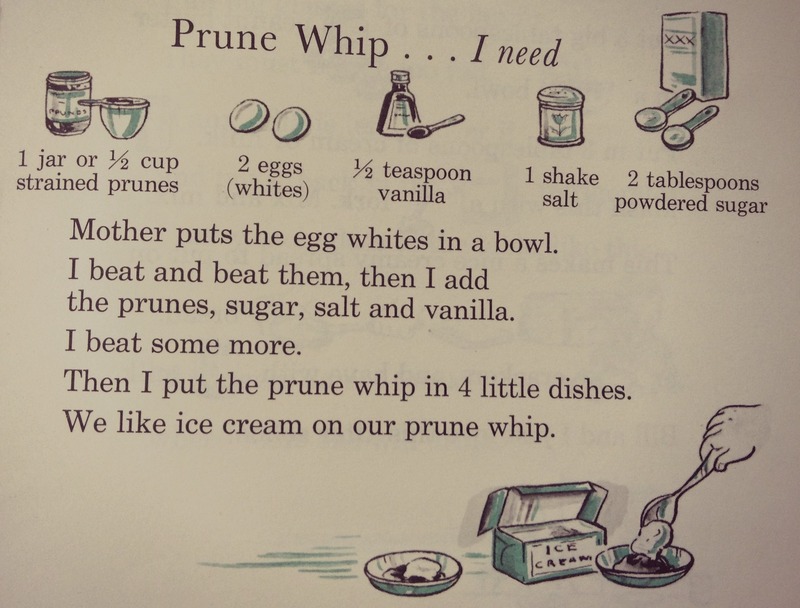 If you really want to shake things up, how about greeting your kids with an afternoon snack of PRUNE WHIP? Can you even imagine? Seriously. YOUR CHILDREN WOULD DIE A THOUSAND DEATHS. It’s amazing what terrors, I mean – WONDERS, you can create with a little mayo, instant pudding, and condensed soup. 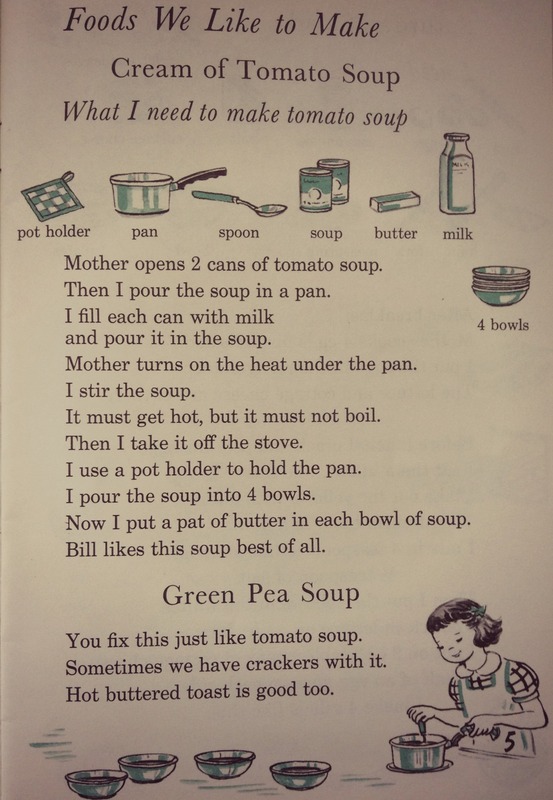 Oh sure, our kids may recoil at these foodstuffs of the 1950s, but here’s one thing for ’em: they sure do whip up quick. This easy-breezy, totally non-nutritional approach to the kitchen frees up lots of extra time for chain smoking and playing canasta with the other wives on the cul-de-sac. So what’s the grossest concoction of the Harvest Gold-hued kitchen era that your mom made you eat? Do tell. And oh please, DO serve it to your kids. It builds character. And probably clogged arteries. But there’s plenty of kale for that later. Yes! JELLO was the center of the 70s universe. Put Jello and cottage cheese together and BOOM. Culinary greatness. DeeDee this is HILARIOUS! I loved it. It reminds me of my dearest Nena, who was the first and only person ever to completely kill a batch of macaroni and cheese. Her recipe involved two ingredients: half-cooked spaghetti noodles and hard cheddar cheese slices. Allow to warm, congeal, and cool into a solid block. Serve sliced with ketchup. Go, Nena! That sounds hilariously wretched. I am amazed you liked this post after I visited your BEAUTIFUL blog yesterday and saw all the fabulous wholesome deliciousness there! Lovely site, truly. So many to choose from it hard to pick. My mother still makes and likes it but I shudder when I think of her tuna noodle casserole made with a can of cream of mushroom soup. Really anything with cream of anything soup produces the same reaction. She also served up these frozen chicken pot pies that made me want to go on a hunger strike. She was and is a good cook overall but she could not shake the times. She tells us how her not-at-all-Italian mother would serve spaghetti with tomato juice or ketchup. Yumm. I guess I was pretty lucky when u think of that. OH KERRY. Spaghetti with KETCHUP. And to think of the times I’ve sneered at Ragu. We don’t know how good we have it, we food snobs of 2014. Now, I will admit to regaling my family every now and then with throw-back tuna casserole night. (Solidarity, Kerry’s mom!) I myself enjoy the luxury of can opening, as opposed to straining stock or some other labor-intensive kitchen pursuits. But oh man, I draw the line at ketchup spaghetti. “Salad” in my house was a piece of iceberg lettuce, topped by a canned half-peach or pear, topped by MAYONNAISE and shredded cheddar cheese. Ugh, the MAYONNAISE salad! Health on a plate!